The Range Science Education Council and the Society for Range Management proudly present the 2014 Outstanding Undergraduate Teaching Award to Dr. Laurie B. Abbott of the Department of Animal and Range Sciences at New Mexico State University. This award recognizes individuals who have demonstrated excellence in teaching, advising, and mentoring over an extended period, often a career. 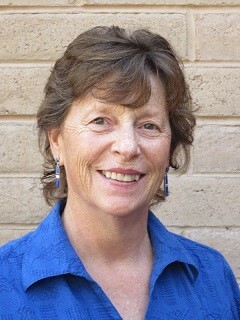 Dr. Abbott began her teaching career at the University of Arizona and has taught four range courses at New Mexico State University since her appointment there in 2000. The North American Colleges and Teachers of Agriculture awarded her a Teaching Award of Merit in 2010. She continues to engage in activities to improve teaching and learning. For example, she is a member of NMSU’s Partnership for Retention & Improvement of Meaningful Opportunities in STEM, she is a co-principal investigator in the USDA Higher Education Challenge Grant to Reposition Rangeland Education for a Changing World, and she completed a Graduate Certificate in Online Teaching and Learning. Dr. Abbott excels in undergraduate teaching and advising and is widely admired for her leadership at all academic levels. Dr. Abbott took on the challenge of teaching the range plant identification course and guides NMSU students in the Rangeland Cup Competition. She has been the NMSU Range Club advisor since 2007, a member of the SRM Accreditation Committee since 2011, and is very active in the New Mexico Chapter of SRM. Laurie Abbott approaches life’s challenges with aplomb, candor, and conviviality. For her exemplary dedication to achieving excellence in teaching and advising, the Range Science Education Council and the Society for Range Management are delighted to present Dr. Laurie B. Abbott with the 2014 Outstanding Undergraduate Teaching Award.